KUALA LUMPUR: Known as “people’s entertainer”, Amy of rock band Search readily sings for fans regardless of where they are. If there is a chance for him to be a busker for a day, he will sportingly take up the challenge, and it won’t be long before hundreds of music fans flock to his little stage. And this is just what had happened in Jakarta, Indonesia last Friday. The 60-year-old rock legend gave Indonesian fans a brief musical showcase at the Bundaran HI Mass Rapid Transit (MRT) station around noon. Amy walked out of an MRT train disguised with a false moustache and beard, but revealed himself to the cheers and whistles of commuters as soon as he walked up to a mini stage in the station. Amy, whose real name is Suhaimi Abdul Rahman, was joined by a keyboardist and two guitarists. 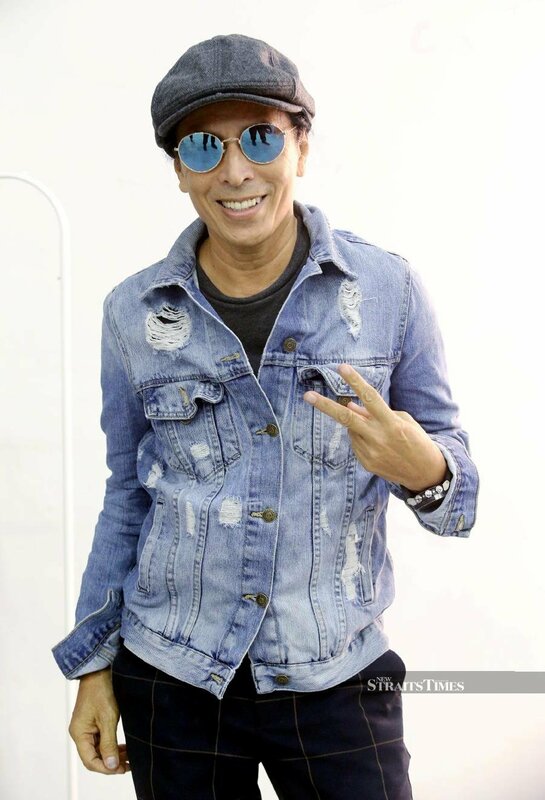 He performed five songs, among them Isabella and Fantasia Bulan Madu. He later boarded a train, introduced himself with his trade mark “Phweet!” call, and sang Fantasia and Isabella with the excited commuters. In an Instagram post today, Amy said: “I’m heartened to know that Isabella remains fresh in the memory of fans around the region. It’s been a major impact in my musical career and that of my band. The Jakarta MRT service began operations on March 24 and Amy is the first Malaysian artiste to perform in an Indonesian MRT station.